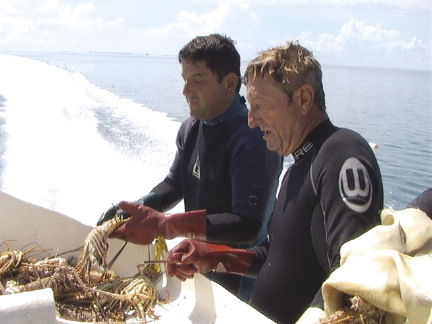 Podos (right) in the Bahamas taking part in commercial lobster diving. Richard Podos is the founder of Lance Capital LLC, a specialty corporate real estate and finance company that "thinks out of the box" when it comes to finding tenant improvement funding solutions for landlords, tenants and lenders seeking capital to make deals happen. "In today's tight economic times, tenant improvement (TI) funds are often the key to closing difficult and complex transactions," said Podos, CEO of Lance Capital, the company he started in 2004 that specializes in this niche commercial real estate finance arena. Recently Podos did one of his most creative funding deals that helped pave the way with a multi-faceted $44 million (TI) loan package that financed a portion of the rent to pay for tenant improvements at 470 Vanderbilt Ave. The 650,000 s/f office building in Brooklyn is where NYC's Human Resources Administration agreed to a 20-year lease with a partnership of owners including GFI Development, Starwood Capital and The Carlyle Group. The deal developed a unique solution for landlords, tenants and lenders seeking capital to make deals happen. The firm was successful at accessing non-traditional capital sources that relied on tenant's credit, not underlying real estate values. It provided a new tool for borrowers to access a different source of real estate capital by focusing on a tenant's credit in a multi-tenant building. 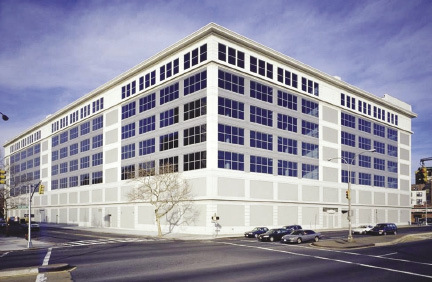 "It was a unique formula that included a specific portion of the rent that can be amortized over the course of the lease," said Podos, who explained the project includes over $100 million in construction work for building renovation and tenant improvements, the monies spent by landlords for renovations and improvements to a new tenant's space. "A lot of owners don't have the ability to fund additional TI costs and this is a problem for people getting deals done," Podos said. "Today especially, everyone is much more conscious of capital." According to Podos, tenant improvement costs are coming under scrutiny, causing landlords and tenants to rethink how they use capital. "TI costs impact everything - vacancy rates, valuations and the ability of a landlord to close a lease," explained Podos. "To the extent we can apply this financing methodology it can help a lot of deals get done." 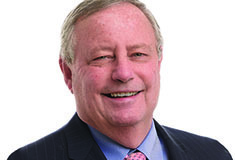 In today's economic climate, says Podos, "There are a lot of buildings around the country that are distressed and Lance Capital is poised and ready to step in and fulfill the requirement for TI dollars." Podos and Lance Capital are now in the process of replicating the Vanderbilt Ave. transaction with other corporate and government tenants in deals throughout the country and also overseas in the United Kingdom. "We are confident and proud to say that applying the Lance TI financing methodology will help many deals get done in 2013 and beyond," said Podos. At Lance Capital, Podos leads a team of seasoned professionals with experience in many disciplines from the firm's midtown office in the Chrysler Building. The company's services include: institutional real estate asset management, acquisitions, debt and equity capital markets, corporate real estate finance and lease tax/accounting optimization. Podos is known widely and respected in the industry for his great skill in applying financial innovation and technology to high profile commercial/corporate real estate deals throughout his career in the commercial real estate industry. Not many have as impressive a top tier client list as Podos does that includes: AT & T, Bank of America, BNY Mellon, Chrysler Corp., General Motors, HSBC, IBM, JP Morgan Chase, Oracle, Prudential Financial, Tiffany & Co., United Health Group, Verizon and Xerox to name a few. Podos has been in the commercial real estate industry for more than 25 years, including positions as senior vice president and co-manager of New York at Equis Corp., a leading corporate real estate services firm, founding partner at two commercial real estate technology firms, NetStruxr and RealtyIQ, and previously posts in sales, real estate consulting and research with Grubb & Ellis and N. Peter Burton & Co. In his spare time Podos is a very active and devoted master scuba diver, with over 500 dives all over the world. He certified by both the Professional Association of Diving Instructors and the National Association of Underwater Instructors and is an active donor to many ocean and sea charities dedicated to sustainability. Podos also hopes someday to be accepted into the Explorer's Club with a scuba mission in the deepest lake on earth - Lake Baikal in Russia.